My name is Rob Holiday. I started Sports Picker back in 2012 to share my love of sports and sports betting. Over the years I've had hundreds of happy clients who have earned a profit using both my tips and betting strategies. Due to the success of both my betting systems and my website, I am changing my site to give my picks away for FREE. In full transparency, my site earns referral revenue when my visitors sign up for accounts on Sports Books like 5Dimes. 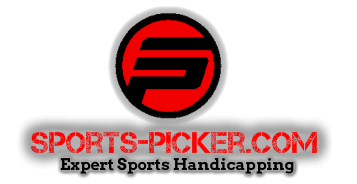 If you enjoy the free picks and want to support the Sports Picker Website, all you have to do is sign up for an account by clicking through one of the links on my reviews page. If you are a sports betting enthusiast Sports Picker can help you increase your chances of winning. I am a full-time professional sports handicapper and betting expert, specializing in professional sports. I employ a variety of different handicapping techniques such as statistical analysis, trends and systems, and fundamentals to make sports investing as profitable as possible. With unmatched experience, insight and knowledge of handicapping, I bring to you this premier online resource for sports handicapping information, advice and predictions. Thousands of handicappers have followed the profitable advice on this website for football, basketball and baseball selections. Are you tired of paying for losing picks? So don’t just wing it if you don’t have the time or resources to research to your games! Instead, join Sports Picker and I’ll tell you what, where and how you should to bet on! You’ll be amazed by the amount of money you can make by placing the right bets with Sports Picker. The win-loss ratio and profits made from the sports pickings offered here testify to the efficacy my system.